The teams at The RK Group get excited for this time of year in Texas, each and every year! The San Antonio Stock Show & Rodeo is in full swing and runs through February 26th at the AT&T Center. It's Rodeo Time in Texas Y'all! With more than two million visitors entering the San Antonio Stock Show & Rodeo grounds each year, not only is it a busy time for the Rodeo and its 6,000 amazing volunteers, it’s also been a busy time for The RK Group‘s teams at Rosemary’s Catering and Illusions Tents, Rentals & Event Design, who have been supporting the San Antonio Rodeo in various ways for many years. We’ve had a great time returning to help with several exciting annual kick-off Fundraising Events, including the Let’s Rodeo Ball, the San Antonio Stock Show & Rodeo Bar-B-Que Cook-Off & Festival and the Cowgirls Live Forever Scholarship Luncheon & Fashion Show. 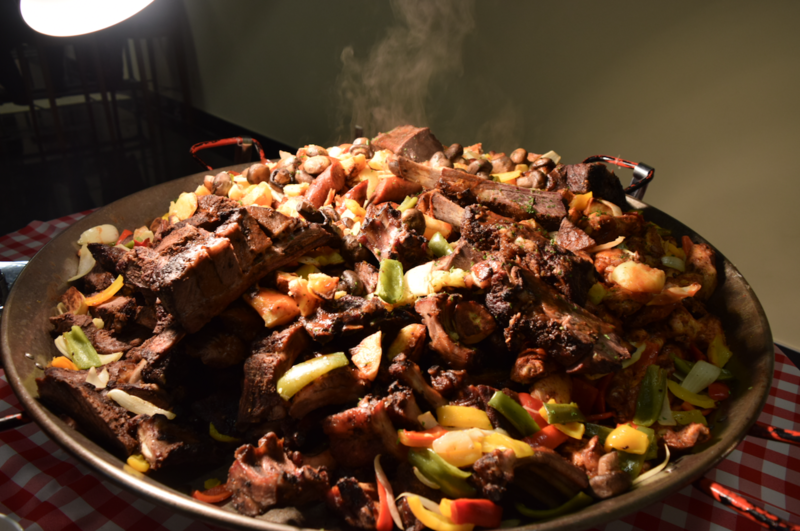 Our teams had the pleasure of serving more than 1,500 guests who gathered to support the San Antonio’s Scholarship Fund at the San Antonio Stock Show & Rodeo’s upscale parties known as the Let’s Rodeo Ball, held on January 21st at the Freeman Coliseum. Country star Gary Allan performed amid the night’s attire of Western Glitz. We’re also proud to have catered and provided the décor for the Cowgirls Live Forever Scholarship Luncheon & Fashion Show, held on February 2nd at the Witte Museum’s new Mays Family Event Center. Amazing that since its inception ten years ago, the event has awarded more than $1 million in scholarships! And we had more than 40 great barbeque pit masters covered with tenting solutions of all sizes at the San Antonio Stock Show & Rodeo Bar-B-Que Cook-Off & Festival held on January 27th – 28th. This time of year brings with it fun times for all ages with the thrill of many concerts, competitions and great entertainment, but most importantly it brings the opportunity to get together as a community and give back to the city that gives to us. Throughout the years, the San Antonio Stock Show & Rodeo has served as “a volunteer organization that emphasizes agriculture and education to develop the youth of Texas...[donating] more than $171.4 million to the youth of Texas through scholarships, grants…” and our teams are honored to be a small part of such a positively impactful organization in San Antonio. We look forward to serving the Rodeo Star Experience ticket holders who’ve elected to get up close and personal with all the great entertainers. Let’s Rodeo, Texas!